The uniqueness of Magic Bait punch bait is our custom recipe and the fiber. Our fiber is the perfect length for your treble hook to rake through the bait for an easy bait up. Our master craftsman choose only our oldest cheese and our richest oils to use in our punch bait. The blend must be exact so we only small batch mix this bait. Getting all the attractants even throughout the bait and getting the right amount of fiber throughout the bait, is truly an art. 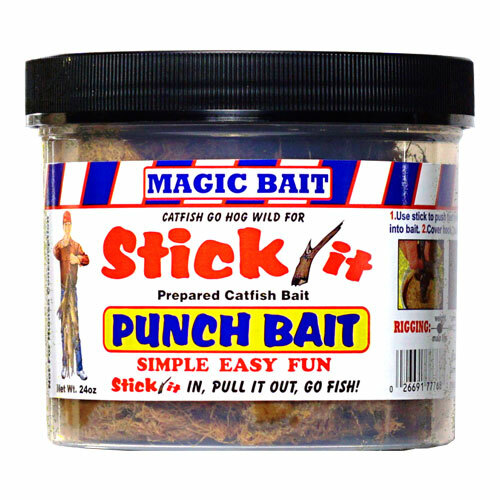 Catfish can not resist Magic Bait punch bait. 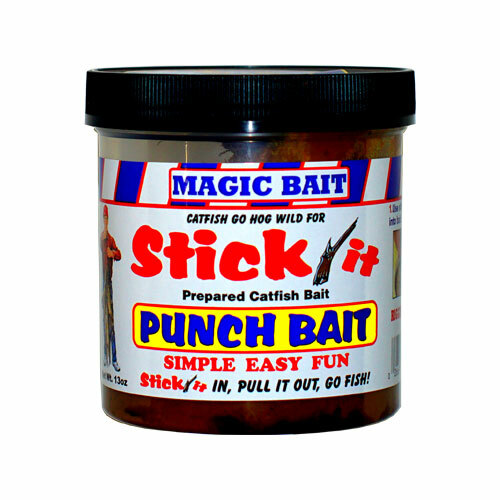 A good punch bait is clean and easy to use. You want to use about a 12” long stick and push your hook down through the bait. Cover the hook completely and pull the hook out at an angle.